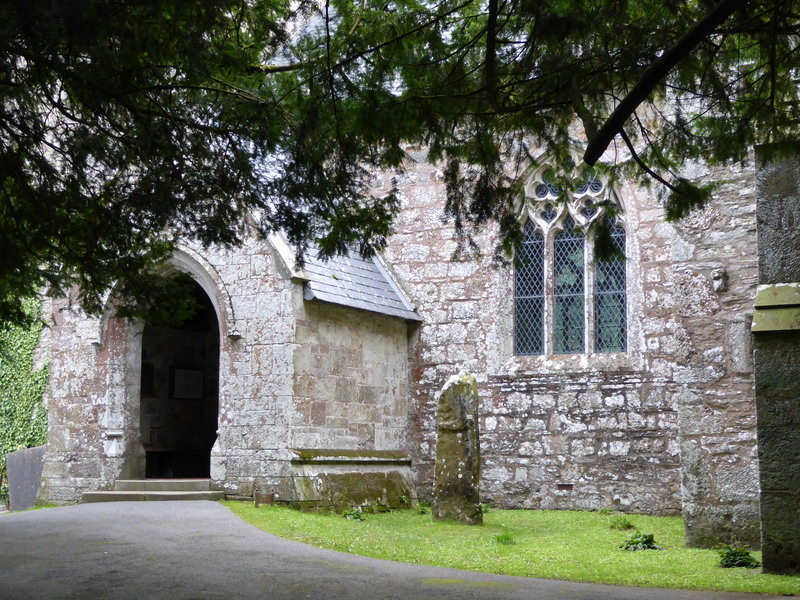 The porch of St Brynach’s church, Nevern, welcomes worshippers and visitors into the Church. It also offers warmth, shelter and safety to a family of swallows, one of whom flew out as I walked in, skimming over my head and missing me by centimetres. St Brynach was a 6th century Saint about whom very little is known. The rather sketchy details of his life, recorded in the 12th century (600 years after his death), include his ability to tame wild beasts. St Brynach’s feast day is celebrated on 7th April when the first cookoo is expected to arrive in the village after the long migration from Africa and alight on the ancient cross in the churchyard. This entry was posted in Religion, Wildlife and tagged Nevern, St Brynach. Bookmark the permalink.